The heat outside surrounds us determined to find a way into our glass and metal cocoon and sap our energy. However we are comfortable inside in the air-conditioning. The sky is a brilliant blue, not a single cloud can be seen. A tree stands above us providing some brief shade from the blazing sun. He is dreaming sweet baby dreams, I hear his sleepy rhythmic breathing, it makes me feel relaxed. I seize the opportunity to read my book. I am transported to a wintery wonderland. I can feel the cold briefly touch my bare arms. No sounds can be heard, only a peaceful silence as the crystal snow flakes fall onto the snow covered ground. I can see the bare skeletons of the trees and the evergreens wearing their snow fur coat. Two lonely houses stand across from each other, two storey wood paneled Swedish abodes surrounded by trees, no other dwellings can be seen for miles. The glow of a warming fire shines from the living room window of one. Inside each house a woman sits alone. One writing, one deep in thought. One young, one old. Their story is unfolding before my eyes, why are they both alone, how do they become friends? The beautifully descriptive words draw me in, I am in awe of the writers creative use of the English language, her ability to take me by the hand and lead me into this bleak but compelling world. I wish I could stay here all day, book in hand, lost in this white stark but beautiful scene, eager to find out the secrets of these two lonely women. Alas my real life abruptly ends this little escape. The two women remain at the kitchen table drinking tea together from good china cups, discovering each others past, connecting over their similar stories of loneliness and sorrow. They wait for me to return so I can to hear the rest of their tale. The book I bought at a market. I cannot tell you how much I am loving the writing. 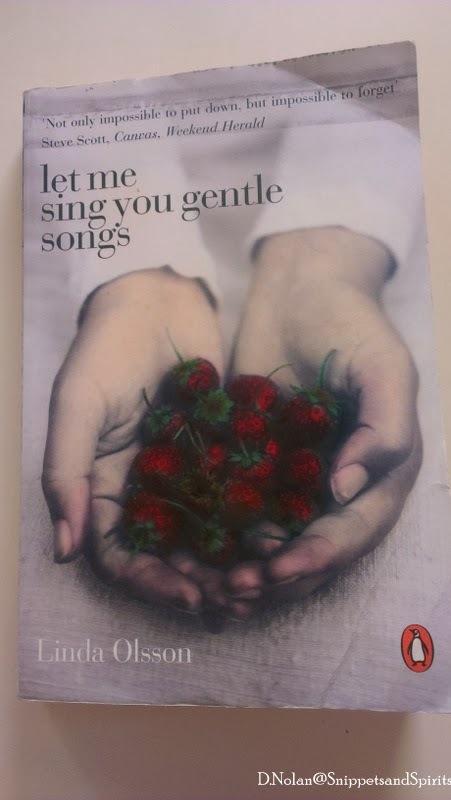 “Let me sing you gentle songs” by Linda Olsson. 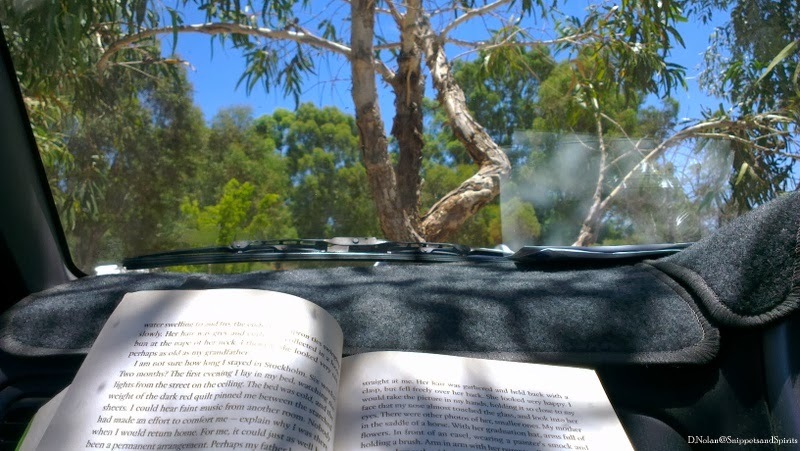 Linking with Zanni at My Little Sunshine House for Sunday Reading. Have you had the pleasure of reading this delight?